Noctua are a mainstay in the cooling segment and are highly regarded as cooling specialists in their field. Having already reviewed many of their products we are already accustomed to the quality that are associated to the brand name. Today however, we are looking at a new product to join the U-Series. The NH-U14S is a step-up from the notorious NH-U12P. The U14S utilises a single tower design which has been engineered for maximum memory clearance and is the first cooler within the U-Series to feature a 140mm cooling fan. It’s been a while since we have seen a new addition to this series and so we are enthusiastic to what lies ahead. 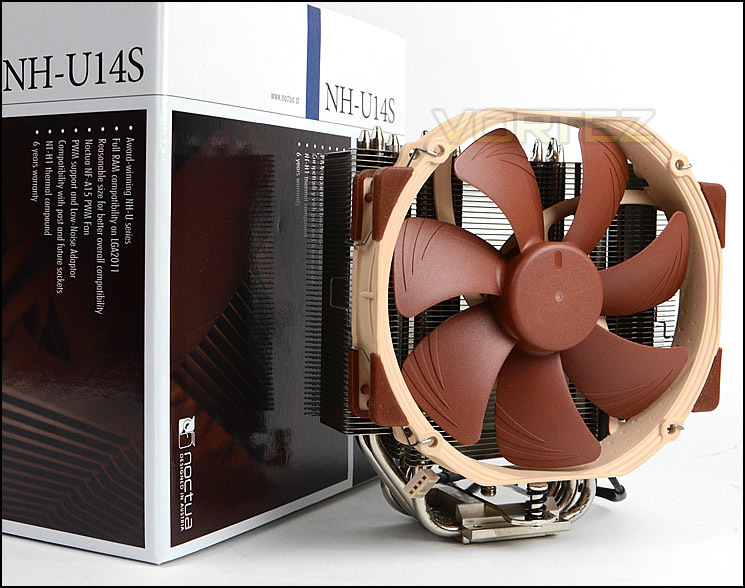 The NH-U14S is the 14cm top model of Noctua’s classic U-series single tower CPU coolers, which have received more than 400 awards and recommendations from the international press. While the large, six heatpipe design and the NF-A15 140mm fan with PWM support for fully automatic speed control allow the cooler to best the renowned quiet cooling performance of all other U-series coolers, its 52mm slim shape still guarantees full compatibility with tall RAM modules on LGA2011. Topped off with the trusted, pro-grade SecuFirm2™ multi-socket mounting system, Noctua’s proven NT-H1 thermal compound and full 6 years manufacturer’s warranty, the NH-U14S is a complete premium quality solution that combines superb performance, high compatibility and quiet operation.